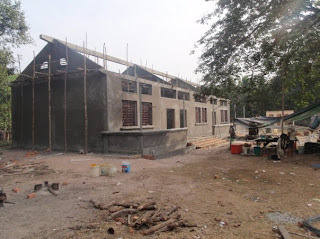 Koky Saly: The school so far! * Well the school is not finished yet. It is scheduled to be completed at the end of February. We will show you the progress for sure. The volunteers have all gone home. If you get the chance to meet a volunteer on this trip ask them how they felt about it. I'm sure you will enjoy their story.